I’ve heard about Goodberry’s for a while from a dessert-lover (hehe), so I decided to stop by one day for a treat. They have three flavors each day: vanilla, chocolate, and a flavor of the day (ok, technically four if you count sugar-free vanilla). 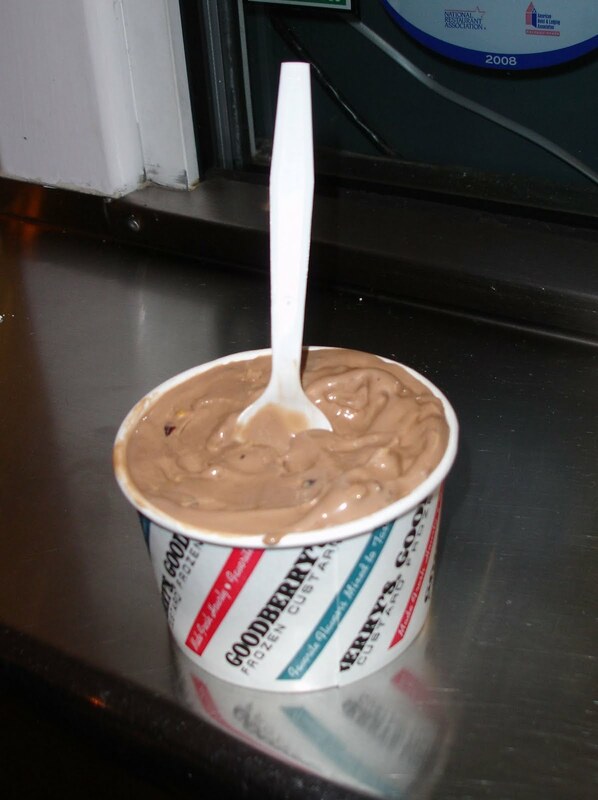 Anyway, Goodberry’s does a pretty good job with the soft and smooth consistency – I could definitely taste the difference. Also, they actually blend in the toppings you want into the custard (they call it the ‘Carolina Concrete’), so you can get a pretty good mixture. I really enjoyed that.